Cloth diaper boosters can be used to add more absorbency to your GroVia® diapers during nighttime use or other times that you need it. Simply lay one of our IMO-certified Organic Cotton Boosters on top of your Soaker Pad, and you are ready to go. 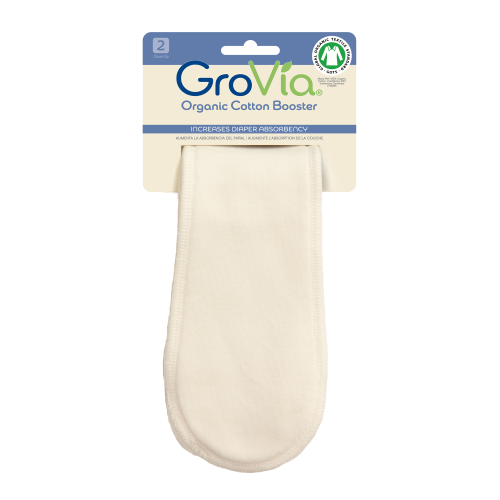 GroVia® Boosters are made of 3 layers of thirsty Organic Cotton! Perfect for naps, nights, or long car rides.